Drink bottles are trending. We all want to enjoy the well-known health benefits of hydration at any time of year. A flask or mug needs to be durable, portable, attractive and practical. Ion8 stainless steel Leak-Proof Travel Mug is one of the better bottles on the market. 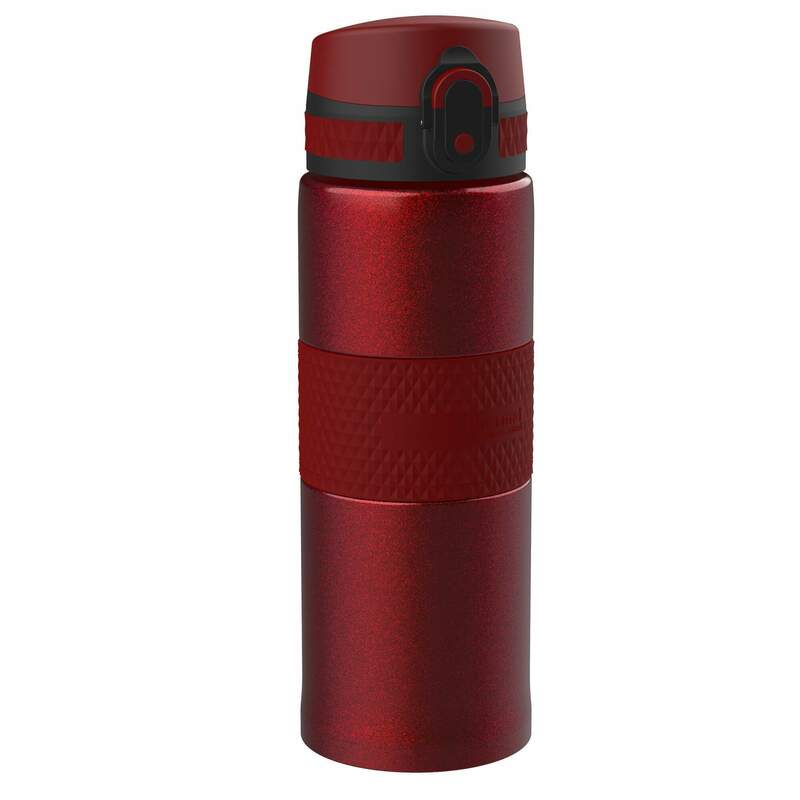 A 100% leak-proof 360ml / 12oz BPA-free vacuum insulated stainless steel travel mug and flask in sparkling carmine red with a matching textured easy-grip comfort band is well designed and bound to be appreciated by commuters. It fits all in-car cup holders, so ideal for those using both public transport and private cars, or even those out for a jog on two legs. The lid is the element that elevates this metal bottle to another level. The top sports a fastener so no danger of a soggy satchel on the Central Line. The catch flips open with one hand and can be locked closed for safety. It has a vented liquid spout for smooth drinking or even pouring. It’s safe to carry with a textured grip and a carry clip to fasten to a backpack. These travel products are made from food-safe, pro grade stainless steel. ThermoShield protects the content’s temperature for hours thus keeping cold drinks icy fresh and hot drinks deliciously steamy. FlavourShield is odour-resistant and protects drinks from taint from the previously held drink, so your morning tea is unlikely to have any hint of yesterday’s coffee. I am impressed by this flask/mug. It’s much more secure than others I have reviewed. That clip removes any worry of leakage, and that factor is as important as its thermal properties.